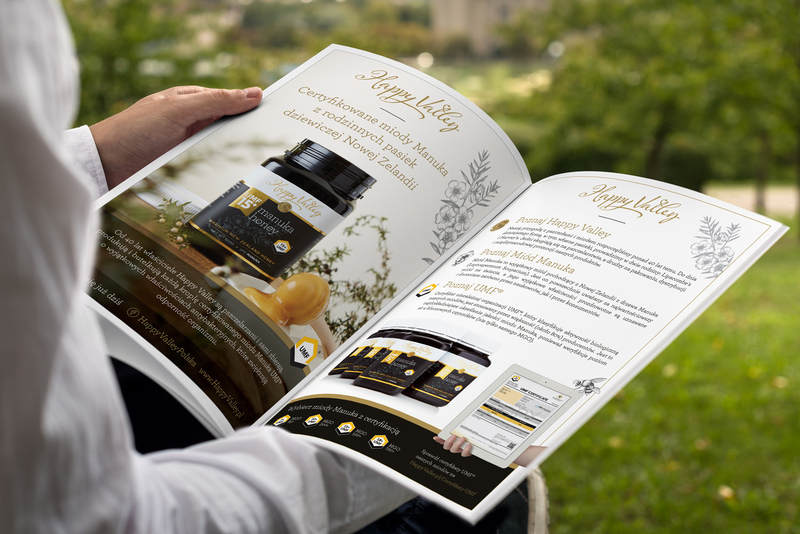 With over 40 year’s experience in beekeeping, Happy Valley Honey as part of Melita Group is a leading supplier and exporter of quality natural bee products including Manuka honey. The challenge: to successfully launch a super premium product with impeccable credentials in a market where those credentials weren't immediately recognised. Poland is the sixth largest economy in the EU with a population of nearly 40 million. It is also a centrally located hub to access other valuable markets in the lucrative CEE region. 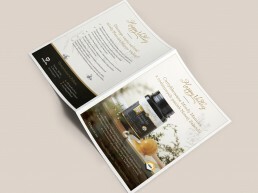 Manuka honey products are already recognised and appreciated in Poland. Well-positioned and promoted, an exceptional product and brand like Happy Valley can swiftly win a significant market share from the majority market leader. Poland already has a well-developed eCommerce culture, with continued rapid growth in online sales. 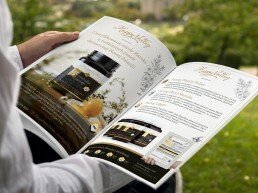 Over 80% of local consumers are loyal to one of the largest Manuka honey brands. 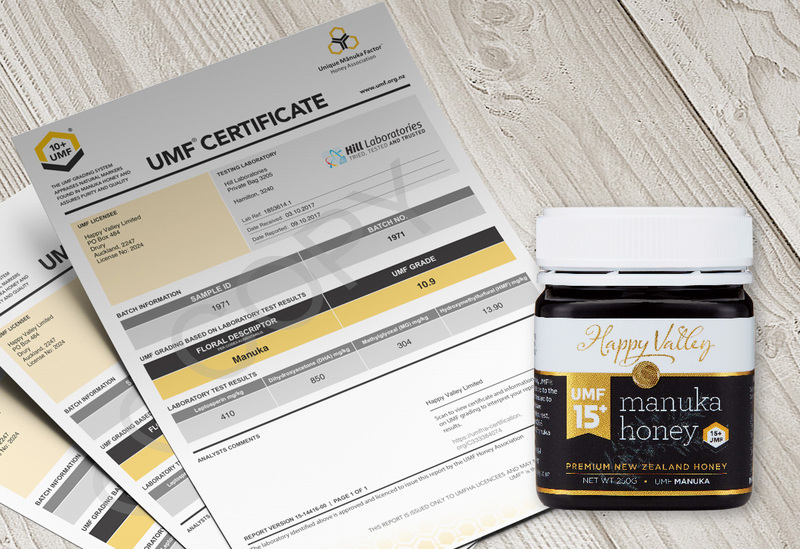 Recognition of the UMF® honey grading system used by Happy Valley is nearly nonexistent in Poland. Other grading systems than MGO have a bad reputation due to the UK Manuka honey brands selling in the past a low-quality EU repackaged product at a premium price. Dominating black brand colour is not ideal as it is not associated with the pure, clean and green image that New Zealand has in that part of the world. 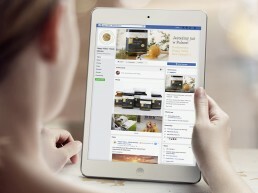 A limited number of established distributors with a country-wide redistribution network. It is difficult in Central Eastern Europe to find a partner with a good understanding of premium brand requirements. After researching the market, we created a list of all potential distributor leads from which a shortlist of three was created - these three represented the best solutions for Happy Valley’s needs and from there we successfully identified and negotiated with the ideal partner. 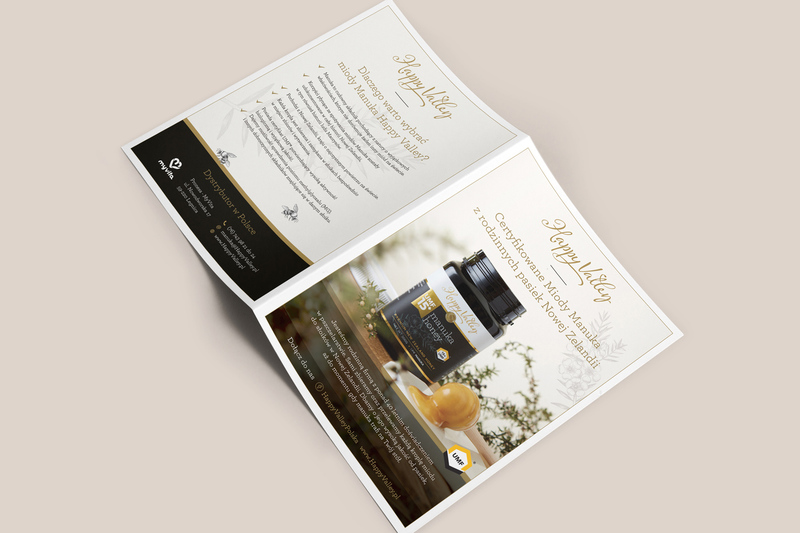 We developed and offered a detailed market-entry marketing support plan that helped to secure the preferred distributor and will give Happy Valley future control over maintaining brand's consistent premium image. 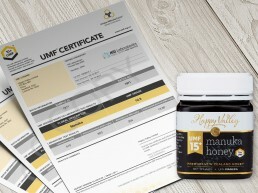 We are efficiently delivering an online educational campaign by explaining the superiority of the UMF® product grading system, with product batch certificates available online. To differentiate the Happy Valley brand from the primary and much larger competitor, based on consumer research we focussed on promoting the multi-generational, Kiwi family business aspects. Having in Poland a team of native marketers and designers we were able to deploy all marketing materials and create brand curiosity and anticipation, well before the product arrived on shelves. We will continue to deliver ongoing localised marketing support with all the service cost already built into the product price. Within five months we secured a Polish general distributor, that was ideally suited to our client. In just two months, 70% of the ambitious annual target had already been ordered. 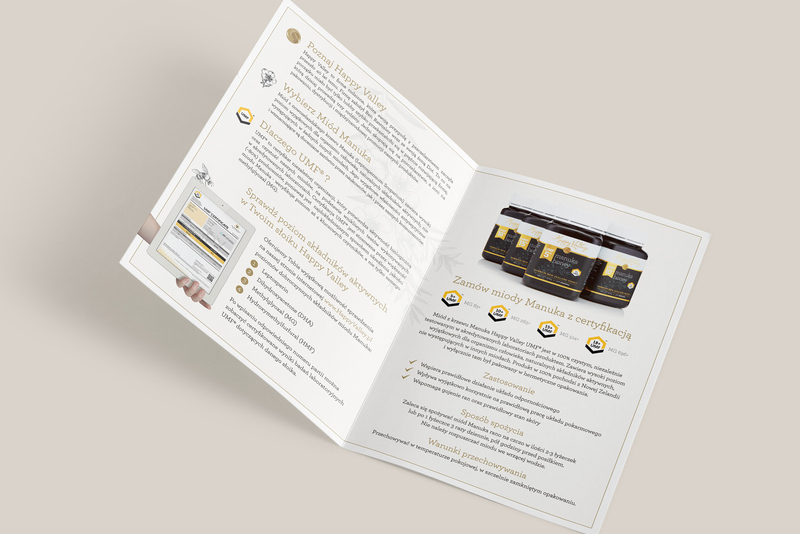 We redeveloped the company story to suit local consumers and designed from scratch printed marketing materials and website that was met with a very positive response. 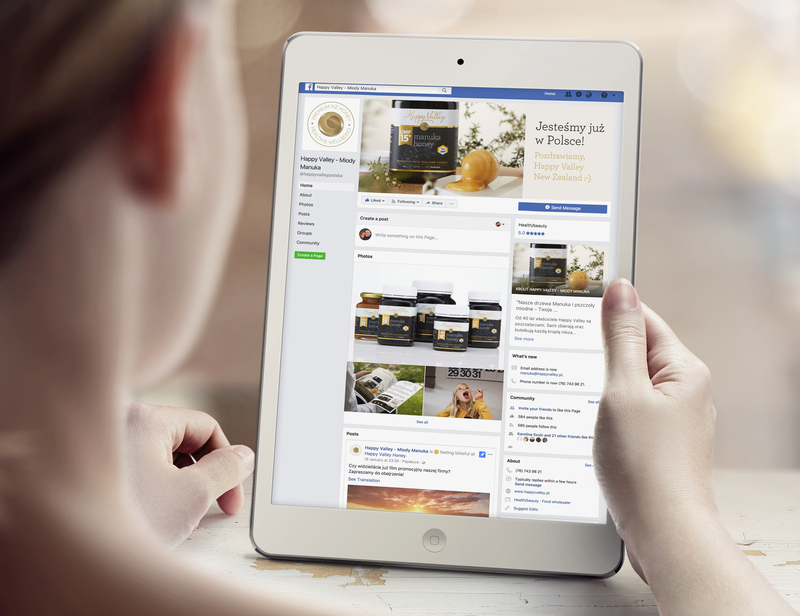 Based on organic reach and small budget advertising, within only a three months, we generated over 1000 accurately-profiled followers on the Happy Valley Polish Facebook page. 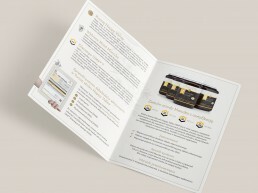 Through unusually proactive support with considerable attention to detail, we evoked in the distributor extra excitement and confidence in his new product, being one of many in their portfolio. The Happy Valley team have praised our commitment to delivering market-launch support beyond their and the Polish distributor expectations. Your team has done a very impressive job with what they have done to be honest, and that in itself is impressive and very humbling. Wonder how we could apply our Central Eastern European market connections and experience to grow your exports?